Are You Looking For Someone Who Can Go The Extra Mile? | Horizon Technology Partners, Inc.
Are You Looking For Someone Who Can Go The Extra Mile? 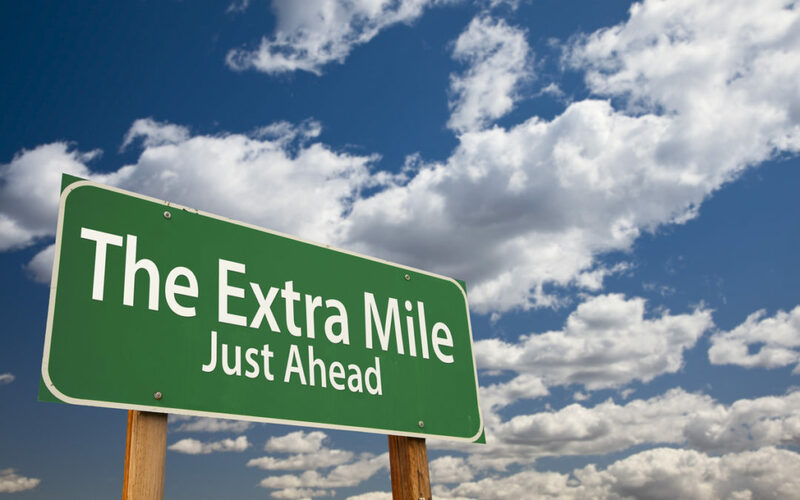 “Going the extra mile” is willingly providing a better service and more than is expected or paid for. It is an essential part of success in every endeavor because it makes one indispensable and more marketable. It is also a source of self-fulfillment when one has gone beyond “best efforts” and a client is more than satisfied and getting more than what they have expected. Do those reasons above sound familiar? Well then, how can you avoid losing your best workers? An employee who is consistently helping you improve your business deserves a fair compensation and even a raise. Remember that it will cost you more when your best employee leaves. Show your employees how you understand their need to have a work-life balance. Let them recharge especially after a great accomplishment. Show appreciation for accomplishments and loyalty because employees also want to feel that they matter. Avoid losing your top performers by showing support, talking to them and not making them feel unnoticed. A workplace should feel like a professional office and not a fight club because nobody wants to work with a negative atmosphere. An open-door policy can be an advantage for both sides because it encourages openness and transparency which works for any relationship. It is heartbreaking to a loyal and hardworking employee to see someone new to the company getting the position that he has been striving and eyeing for a long time. Give your employee a chance to move up and continue to develop as professionals. When someone at work becomes unmotivated in performing his best, the organization will suffer and incur losses because the quality and costs are at stake. Horizon Technology Partners believes that a company deserves team members whom you will look back on as the individuals who make a difference in your organization, so it is the goal of Horizon Technology Partners to provide you with elite talents and ensure that they are consistent in delivering their best efforts. Are you also looking for elite staff who will always go the extra mile for you? If you would like to learn more about finding the right candidate for your open positions give us a call at 847-202-3242 or email us at connect2htp@htpartners.com. WE RECOGNIZE. WE UNDERSTAND. WE DISTINGUISH. WE PRODUCE. WE DELIVER! AND MOST IMPORTANTLY, WE’RE RESPONSIBLE.